We will evaluate your mouth to determine the specific requirements for orthodontic treatment. The initial step is to clean your teeth and follow through with a visual inspection to determine any issues in your oral health. Dental X-rays may be taken to evaluate your teeth and jaw structure. Every situation is different however in most cases your teeth might be angled, crowded and compacted. In some instances, individuals may have too much space between teeth, this can also be corrected with orthodontic braces. 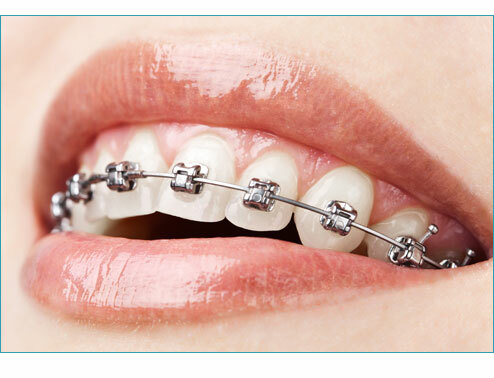 Orthodontic braces apply minimal pressure on your teeth. Over time your teeth will move into its optimal position, which will correct the lining and spacing in your mouth. This also allows the bone that surface around your teeth to adjust to its new position. The treatment duration will depend on the health and condition of your teeth and gums. Your progress will be reviewed and evaluated with regular visits.